Graduate Programme - Timeline Television Ltd. Fancy the opportunity to work on TV productions around the World or in BT Sport’s award-winning purpose-built studios? Join our Graduate Engineering Development Programme, which aims to develop recent graduates into highly skilled broadcast engineers. 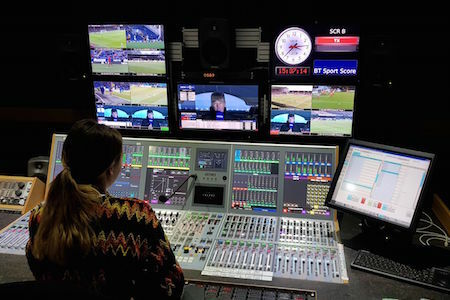 This two-year development programme includes secondments to various engineering departments, giving you the opportunity to expand your knowledge and develop practical skills for an exciting and rewarding career in broadcast engineering. 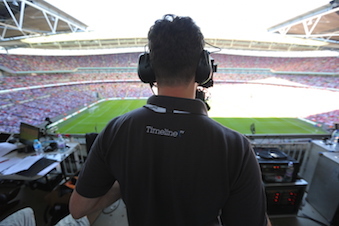 You will the hit the ground running, working directly alongside our skilled engineers, getting hands on experience on projects ranging from outside broadcasts, to studio productions for our major broadcast clients. We will also offer you a mix of internal and external training, and you will have access to your own mentor to support your career development. Our Graduate Programme is currently closed. Please sign up to our mailing list to hear about future opportunities. Hear from our current graduates on their experience so far.